England defender Harry Maguire is focused on Leicester City, but said he wanted to play in the Champions League. Maguire, 25, has been linked with a move to Manchester United, having helped England reach the World Cup semi-finals in Russia. While the centre-back said he simply wanted to keep performing for Leicester, Maguire has a desire to play in Europe's elite club competition. "I'm an ambitious player," he told The Premier League Show. "If you're not an ambitious footballer, you're in the wrong game really. 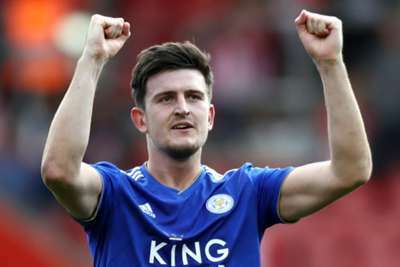 Maguire arrived at Leicester from Hull City in 2017, and made his international debut soon after. Despite the speculation over his future, Maguire feels he owes Leicester. "I want to concentrate fully on Leicester this year. See where it takes the club and see where we go from there," he said. "The platform they gave me to go and play at a World Cup is something I'll never forget, so it's a big part of me wanting to show something back."